The Gloucester County Library System is proud to offer makerspaces to give the public access to technology that is not readily accessible. Our goal is to foster creative-thinking in the young and old alike and encourage community-based innovation and entrepreneurship in the fields of Science, Technology, Engineering, Arts, and Mechanics (STEAM). Establishing makerspaces support the GCLS mission, which is to provide welcoming community spaces where people gather to learn, create, and have fun. The MakerStudio@GCLS and MakerStudio Jr. were the first of their kind makerspaces in South Jersey. With cutting edge technology such as 3D Printers, virtual reality development kits, a digital media lab, vinyl cutting machine, Arduino microcontrollers, and much more. Stop by and dive into these technologies! For more information, visit the MakerStudio@GCLS page. The DesignStudio@GCLS was funded in part by a grant from the Association of Library Services to Children (ALSC). This unique space offers hardware and software for music mixing, animation, game design, and more. Check out the fully interactive HP Sprout computer as well the great software offerings like Anime Studio, Sony Acid, Dragonframe, and more! For more information, visit the DesignStudio@GCLS page. The CreativityStudio@GCLS at the Glassboro Branch Library features a range of creative tools such as a 3D printer and 3D scanner as well as a virtual reality development kit and Leap motion controller. Plus, check out the HUE animation studio, Ozobot Bit 2.0, button making machine, STEM-themed manipulatives, and much more. For more information, visit the CreativityStudio@GCLS page. Did you know there is even more maker fun to be had at GCLS? 3D Dremel Printer and Certification is available by appointment at the Logan Branch Library. Please call 856-241-0202 or email coldt@gcls.org for more information. Scheduled programs can be found under Logan events at http://www.gcls.org/calendar/logan. Want to learn more about maker culture? We have compiled a handy guide for go-to information and relevant weblinks regarding the DIY and Maker culture. 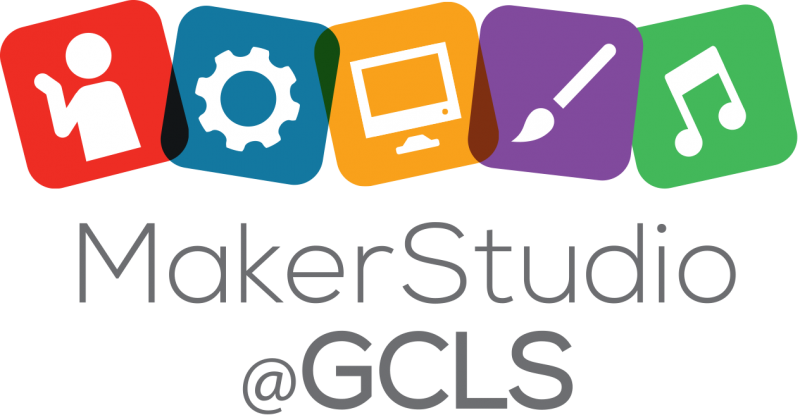 How can I use a GCLS Makerspace? GCLS is actively looking for interested businesses, educational organizations, and individuals with interest in any STEAM (Science, Technology, Engineering, Arts, and Mechanics) related fields that would be willing to share their expertise and knowledge in a mentorship, partnership, or sponsorship capacity.